It's impossible to know everything. So, all of us need to refresh or update our field knowledge. Many people choose computer studies as it is much more comfortable. You just pay for the course and watch the videos, read the texts, listen to the teachers, do the assignments when you have time for that. You don't need to leave your house and go somewhere, you don't need to show the gaps in your knowledge to other students. We are absolutely sure that our 100 cheerful and positive template will draw lots of customers yearning for knowledge into your store. 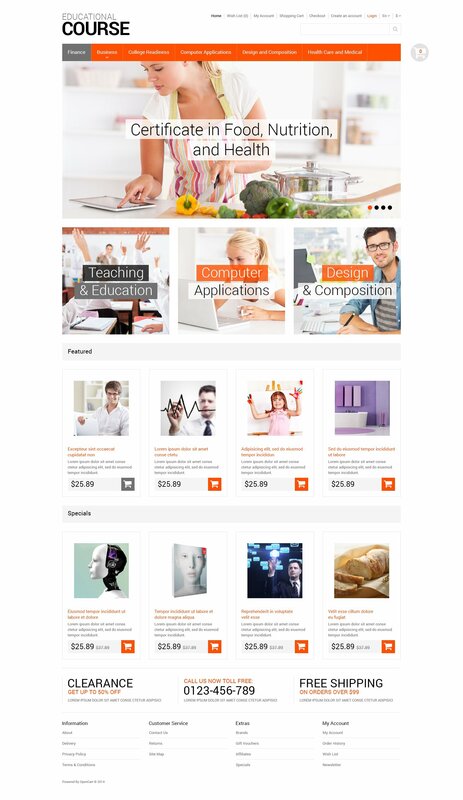 The template is best suited for online courses website, electronics website, and medical training website.